Hand applied brass nails. Available in Burgundy (BY) or Black (BK) Italian Leather. 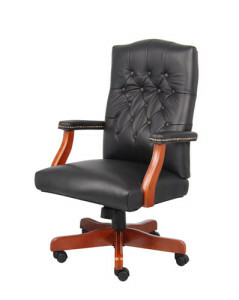 Matching guest chair model (B969).